Are you Corgi or Gas Safe registered? Yes, we are a Gas Safe registered company (formally known as Corgi registered). 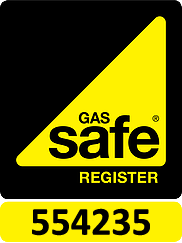 You can check our company on the Gas Safe website here, our business registration number is 554235. What services do you undertake? We cover all aspects of domestic gas, plumbing and heating . You can see all the services we offer in more detail by selecting them from the drop down under the ‘Services’ tab in the top menu. If you need more specific, or want to consult with us further, please contact us. We are based in North Hykeham, Lincoln and cover the whole city and local areas. We do not charge a call out fee. However, we may need to charge for diagnostics undertaken during our visit. What are your contactable hours? Our contactable hours are between 8:30am and 9pm, 7 days a week. What guarantee do you offer with your work? We are fully insured for public liability and all work we undertake will come with a parts guarantee for 12 months. For how long are your quotes valid? Our quotes are valid for 30 days. If you want to discuss the work that needs doing further, then please feel free to contact us. A full invoice for the work is provided for you upon completion as a receipt.